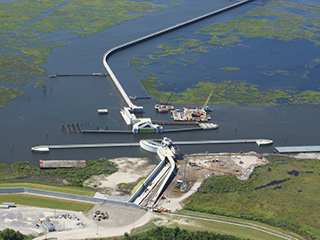 As a subcontractor to Shaw Environmental and Infrastructure Group on the largest design-build contract ever awarded by the U.S. Army Corps of Engineers, C.J. 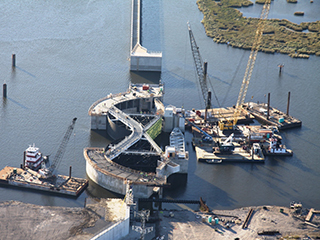 Mahan Construction Company was responsible for the construction of the concrete structures and closure floodwalls for the main sector gate for the Lake Borgne Surge Barrier. 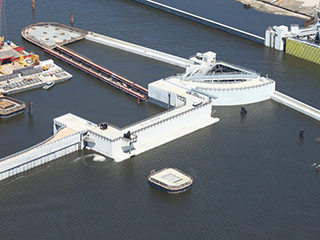 Significant features of this work included construction of an internally-braced sheet pile cofferdam measuring approximately 160′ x 380′ in water up to 30′ deep, construction of a base seal consisting of 10,224 cubic yards of tremie-concrete placed in a continuous operation, placement of 14,700 cubic yards of thermally-controlled mass concrete for the foundation slab, and over 6,400 cubic yards of concrete for monolith walls, abutments, and thrust blocks placed within critical-tolerances to accept the sector gate structures. 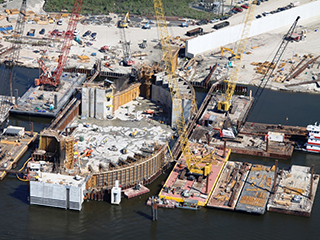 Built on an extremely accelerated schedule in just under nine months, the project was successfully completed in time to provide 100-year storm surge protection by the official start of hurricane season on June 1, 2011, achieving an important interim milestone for the City of New Orleans and USACE. 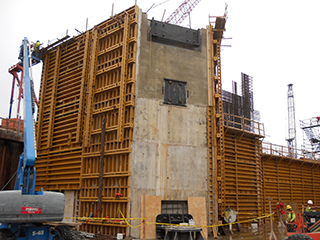 In spite of this compressed schedule, C. J. Mahan and its subcontractors safely worked over 280,000 man hours on this project without an OSHA Recordable Incident. 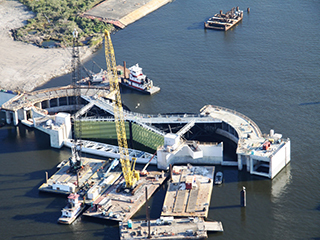 Winner of the 2012 “Grand Conceptor Award” by the American Council of Engineering Companies (ACES) for most outstanding engineering achievement and one of eight “Grand Award” winners.